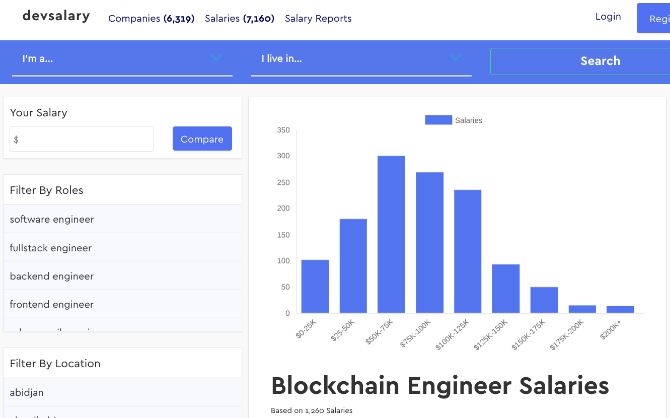 The search parameters also let you get a little more specific about the type of role you do (fullstack engineer, mobile developer, and so on), and the location you work from. Naturally, you’ll get a bit more if your skills include computer programming jobs in demand right now. If you’re a programmer or developer, chances are you have ended up on Stack Overflow at some point. It’s one of the best Stack Exchange communities, giving you answers about anything related to programming. 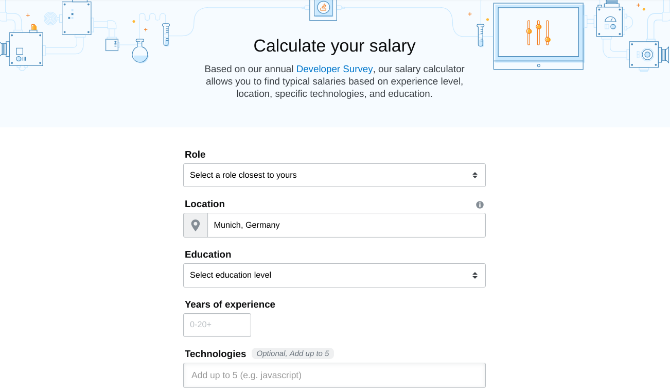 Stack Overflow has had a jobs listing for some time, and you can use that data to find a bit about what you might be worth. Additionally, Stack Overflow has one of the internet’s best job-search listings for developers and programmers, so you’ll immediately see other firms to apply to in case you think you’re underpaid. 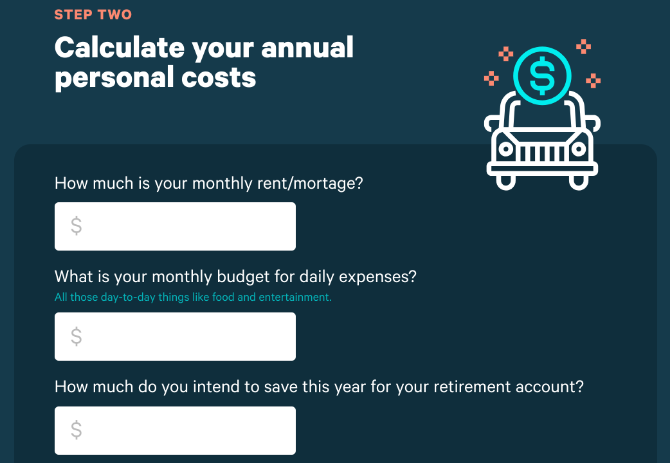 The calculator asks you a series of questions, that determine four major expenses: your annual business costs, your annual personal costs, your billable hours, and profits and taxes. It’s a nice way of splitting up your finances and arriving at a logical number. It’s what an online financial advisor would tell you to do. 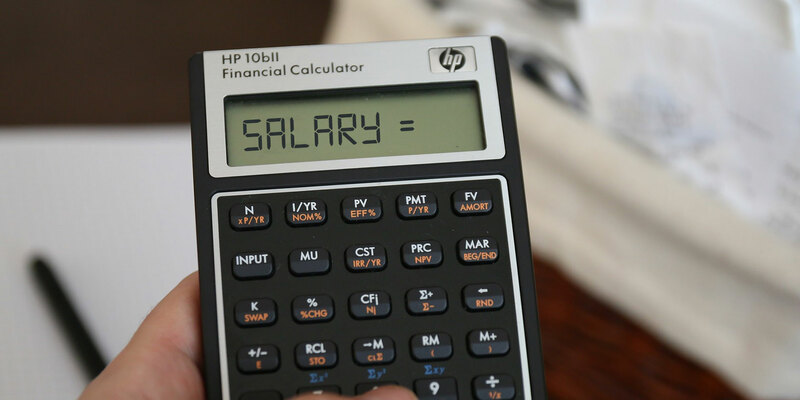 Once you enter all the metrics, you’ll find out what your hourly rate is. Now you can stick by this, and use the best time-tracking app with it to ensure you are paid exactly what you are worth. Buffer, one of the best ways to schedule posts on social media, is an admirable startup with some new ways of thinking. The company has an entirely transparent salary system, publishing what every employee makes. 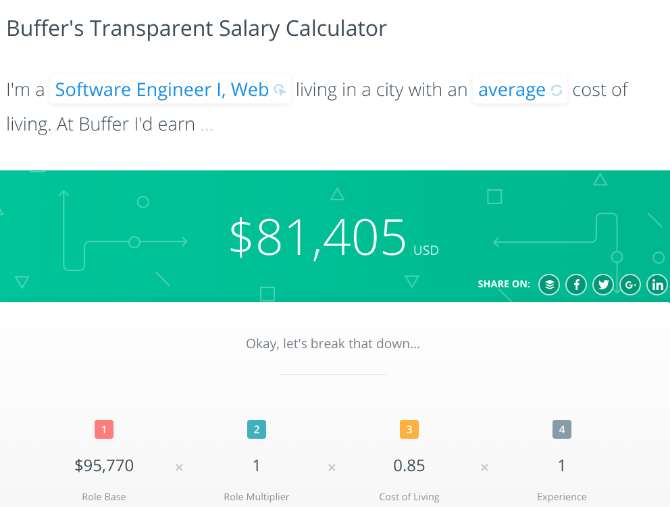 And they also have a calculator for you to see what you could make working at Buffer. If you are an independent worker, there are freelancer unions and free contracts that can help provide legal protection and save you from employees who don’t pay on time (or at all). Bookmark or download these essential apps and sites for every freelance professional, you never know when you might need one.